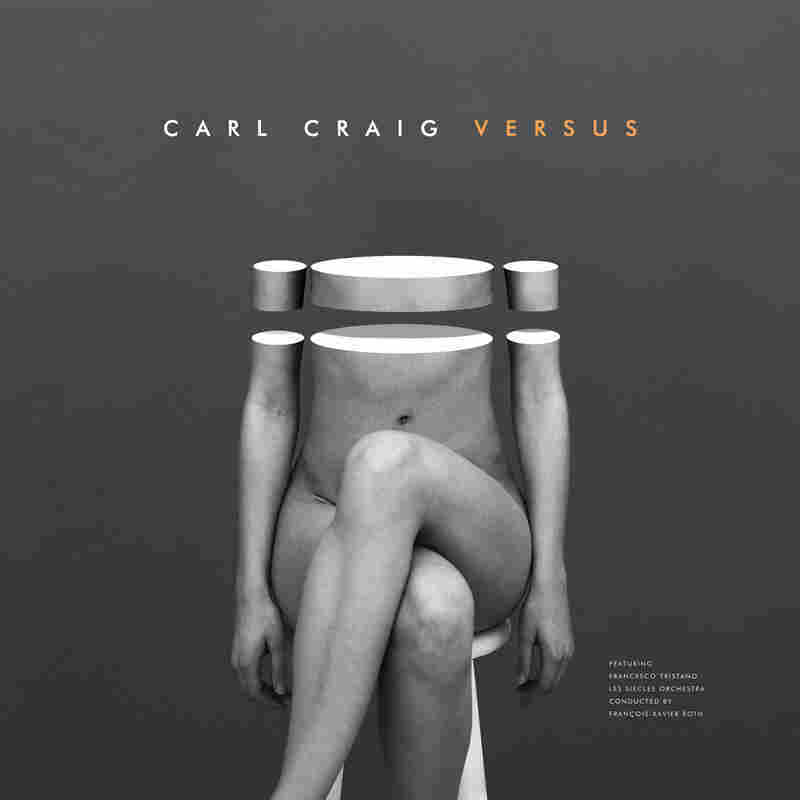 Review: Carl Craig, 'Versus' The Detroit techno colossus reimagines his greatest tracks with a concert pianist and a symphony orchestra. It's easy to approach Versus — a long-gestating collaboration between Detroit's electronic-music deity Carl Craig, the Paris-based Les Siècles Orchestra (under the direction of François-Xavier Roth) and techno-loving classical pianist Francesco Tristano — as the latest attempt to bring club music to the rarefied atmosphere of a concert hall. This desire has seduced many an artist during the recording age — from jazz symphonists, Third Streamers and rock opera conceptualists, to exquisite post-modernists like Jeff Mills and Kendrick Lamar — with varying degrees of creative success. And Carl Craig cops to that ambition from the get-go, in the liner notes, calling these orchestral interpretations of his tracks "a dream come true." Yet, it's also clear that Versus is a far more nuanced beast. Not only because almost half of its tracks are electronic miniatures, offering sharp synthesizer relief to the symphonic grandeur at its heart; but because some of this music — Tristano's arrangements of Craig's tracks, and, importantly, of tracks originally made as remixes — hints at just what a great marriage of contemporary orchestra, techno compositions and musical brains fluent in both could produce. Versus actually began as a concert at Paris' Cité de la Musique in October 2008, and included another techno master, Moritz von Oswald (rightly credited on Versus as a "Spiritual Advisor"). At the time, Craig and von Oswald had just released ReComposed, a long-form, unclassifiable piece for Deutsche Gramophone, made using master-tapes of classic Berlin Philharmonic recordings of Ravel and Mussorgsky, overlaid with original sounds. That Paris concert — Craig and von Oswald on electronics, Tristano on keys and laptop, and Roth leading the orchestra — used ReComposed as a springboard, filling out the program with Steve Reich and Bruno Mantovani pieces, as well as Tristano's arrangements of the Craig tracks featured here. Those musical inter-connections are not relationships of convenience. Though von Oswald is rightly hailed as a primary architect of Berlin's signature dub techno sound, he had also been a classically trained percussionist; the Luxembourgian Tristano grew up a piano prodigy (performing publicly since age 13), studying at Julliard before incorporating a long-held love of Detroit's hi-tech soul into his repertoire; and Les Siècles was founded in 2003 by Roth for the express purpose of vetting the best young players in Paris and expanding symphony-hall repertory. For Craig, such partnerships are lifeblood. A major dance-music figure since the early '90s, he has participated in collaborations throughout his career, using alliances to subvert sonic orthodoxies (on Innerzone Orchestra and the Detroit Experiment, a pair of "electronic jazz" projects) and ideas of presentation (co-founding the Detroit Electronic Music Festival, now known as Movement, one of the world's foremost festival gatherings). Yet between his own tracks and countless remixes, he also has one of techno's truly untouchable catalogs. The core of Versus posits a few of that catalog's crown jewels in service of expanding into the contemporary music space, and navigating its inherent clichés. The most basic classical-meets-club formula — a drum-machine kick or hi-hat at the center, with the orchestra performing the melodic and textural elements — appears so rarely that when it does it actually hits the populist "hand's in the air" moment it aims for. Instead, the rhythms of Versus are strategically designed with the emotional narrative of the individual pieces in mind — electronic, yes, but defined by context and purpose. Syncopation and instrumental interplay are everywhere you focus. The opening "Darkness" revolves around a two-note theme played by individuals in each section of the orchestra, while a biblical brass fanfare announces impending dread and a roiling pulse mixes bass tones and acoustic percussion. "Sandstorms" mutates that fanfare into something akin to marching-band funk, before the synthesizer and the drum machine take you on a luxurious, streamlined techno ride. "Desire" inhabits a Mediterranean-port beauty, with yearning violins countering a castanet-like shuffle, Tristano's piano and a great looping bassline, before the orchestra awakens, section by section, to meet the track's emotional gravity in a swirl of breakbeats. The last major piece, "Technology," with its circular four-note figures heavy on woodwinds, is a rising celebration, with a romantic melodicism reminiscent of Kraftwerk. Interwoven with modular-synth shorts, it is a conversation between head, heart and hips, using some of 20th century culture's greatest developments: minimalism, dissonance, technology, diversity. And yet, a pair of Versus tracks raise the bar much further. Neither "Domina" (Maurizio, 1993) nor "The Melody" (Tristano, 2008) is a Carl Craig original, but remixes that have entered his canon as well. Here the notion of arranging club remixes for orchestra is another poke at the participants playing with forms, but also the project's most realized beyond-category successes. "The Melody" opens as a duet between Tristano and a plucked acoustic bass, a majestic jazz song; and when the 4/4 kick arrives, the belief is that we're floating towards comforting jazzy, house music waters. Instead, the drum-machine suddenly settles into an accompanying role, a deeply melodic interplay between brass, strings and woodwinds ensues; and when the house kick returns, it has sliced-up all that's come before, plus injecting a little bit of Prince's purple life into the after-genre party. "Domina," the album's only major piece without a drum-machine and its longest, moves in a different direction entirely. Underpinned by rich viola drones and played lower in the register than the rest of the album, it is a nod to Moritz von Oswald as composer (he is one-half of Maurizio) and as dub architect. Craig's mix of the bass and brass stabs is drenched in echo, with a tour de force Tristano mirroring the stabs on the piano, then carrying on the rhythm as the piece continues to gorgeously mutate, it's center disintegrating and only the syncopation between the instruments left holding it together.